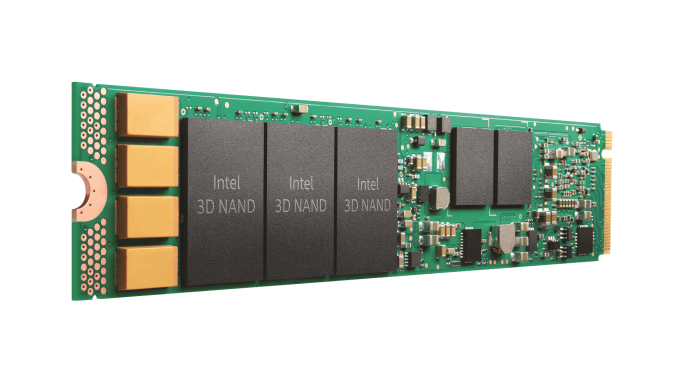 A month ago, Intel unveiled a new generation of enterprise SSDs based on their 3D TLC NAND and powered by a new generation of Intel NVMe SSD controllers. Intel's first NVMe controller—introduced with the SSD DC P3700—had a great run, but it's been showing its age for a while now. The new controller used on the P4500 and P4600 enables higher performance despite the new drives using 3D TLC NAND compared to the P3700's 20nm planar MLC, and despite the newer controller having only 12 flash channels instead of 18. More significantly, Intel's second-generation NVMe controller is much smaller and more power-efficient, allowing it to be used in product segments that Intel's first generation controller literally couldn't fit in. Intel's new SSD DC P4501 is a lower-power take on their new generation of NVMe technology, putting Intel controllers into M.2 and 2.5" 7mm U.2 SSDs for the first time. With capacities from 500GB to 4TB, the P4501 delivers somewhat lower performance than the P4500 and P4600, but with reduced power consumption and substantially higher density. The M.2 version of the P4501 will provide capacities up to 2TB on a 110mm long card, larger than normal for consumer M.2 SSDs but typical for enterprise SSDs that include power loss protection capacitors. The 2.5" U.2 version uses the same 7mm thickness as consumer SSDs and many of the more value-oriented enterprise SSDs, compared to the 15mm thick form factor that Intel's previous enterprise SSDs have used for thermal dissipation reasons even when the extra volume was not necessary for higher storage capacity. The U.2 version of the P4501 will provide capacities up to 4TB. Intel's first-generation NVMe controller came to the consumer market in the SSD 750, the first consumer NVMe SSD. It raised the bar for consumer SSD performance, but as soon as truly client-oriented solutions like the Samsung 950 Pro hit the market, the SSD 750's inconveniently large form factors, high power consumption and lower peak performance started to erode its cachet. The new Intel SSD DC P4501 shows that Intel is in a position to offer a new generation of high-end client NVMe SSDs that will be much better fit for today's market. 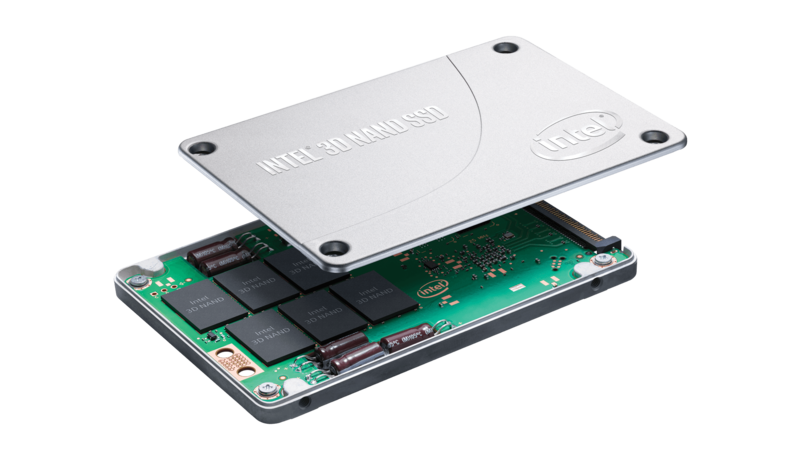 With new firmware optimized for client workloads and possibly with cost savings from dropping the power loss protection or using Intel's upcoming 64-layer 3D TLC NAND, Intel could have a serious contender for the consumer market in the near future. "Bingo. These aren't for your laptop." Do I need to build a thunderzolt to U.2 breakout box to prove you wrong? Are you referring to "MY" laptop specifically or the current crop of laptops in general?